You can reserve specific blocks directly in your Google calendar for certain meeting types. 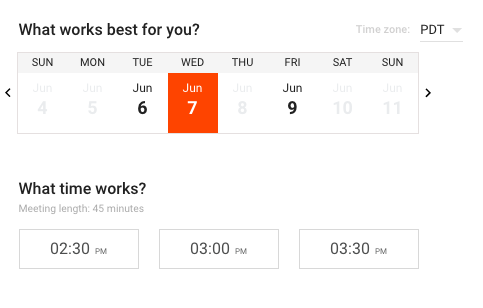 For instance, you can choose to show as available for training only Thursdays from 8:00AM to 12:00PM in your time zone. Jay G is looking for a way to optimize his work day by committing himself to specific meetings and tasks throughout the week during specific times. He sets aside 8AM – 12PM every weekday for the next few weeks for interviews only. He does this by checking the bottom section titled “reserve this time for this meeting type = Interviews.” By doing this, he will ONLY take interview meetings from the hours of 8AM – 12PM every weekday. Meanwhile, Amanda, the company Recruiter, is looking to find time for a candidate to meet Jay G. She creates the invite using the candidate’s email with Chili Piper Chrome Extension, and makes sure to select “Interview – Phone” for the Meeting Type. Create an event in Google. You have the option of making it recurring, e.g. 8am – 10am every weekday. Only after you save the event, make sure the meeting type is marked correctly in Google, such as below. 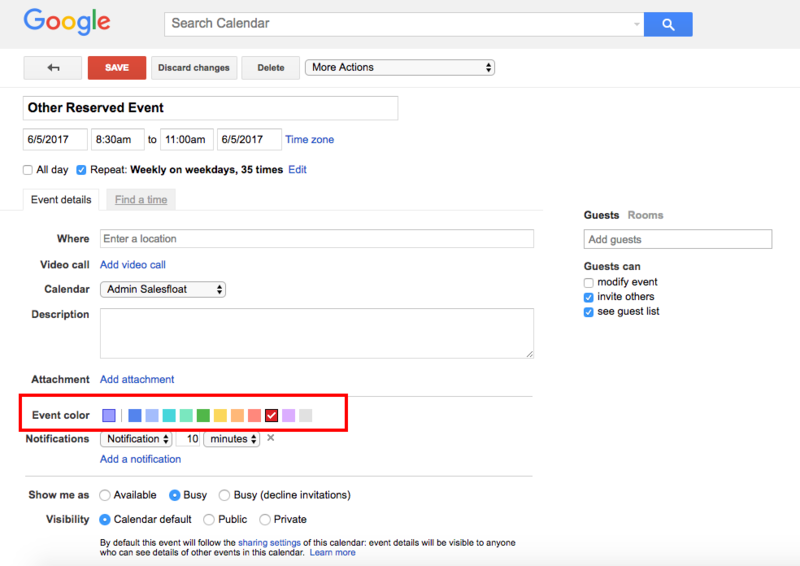 These slots will be marked as “Available” in Google calendar events. If someone wants to book a meeting with you of the specific type, you will only appear as available for that reserved period. The person receiving your booking link for this meeting template will only see suggestions during the availability you have set (below). You can learn more about booking links and their structure here.